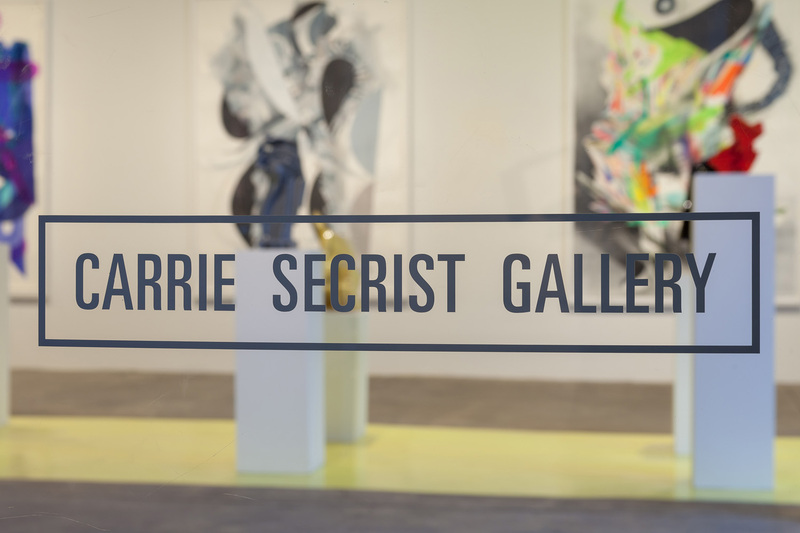 Carrie Secrist Gallery is pleased to announce a group exhibition entitled As We Live and Breathe, a survey exhibition that examines contemporary concerns regarding all things “green”. The world is a peculiar place, and it is this strangeness that Liza Berkoff is attracted to and chooses to document. She is inspired by the way people manipulate their surroundings and sees this in the display case of a butcher shop, the sparse geometry of a construction site, or a scrap of Astroturf left behind in a warehouse. These are things that often originate without a second thought. In capturing them they receive the benefit of increased inspection, and their beauty or strangeness is amplified. Noted Chicago visual icon, Phyllis Bramson paintings are concerned with illusion and cliché. Bramson’s work is infused with parody strategies, arbitrariness, and ephemeral counteractions about love and affectionate feelings in a hostile world. Antonia Contro’s work flows in and out of different media with the intention of transporting people to other times and places. She has a fondness for maps, travel, and knowledge. Joy Episalla works in the interstices between photography, video, and sculpture. Her work focuses on the wealth of information that mundane architecture or an object can provide. Like a forensic examiner or palm reader, she considers the cracks and stains inscribed on the surface—the secret histories of places and things. Also joining the gallery stable is painter, Judith Geichman. Working with a language of abstraction her paintings have a strong affinity to natural phenomena and are reminiscent of landscape and figural movements. Megan Greene’s work shows her interest in mammals, birds, deep-sea creatures, and insects to an effect reminiscent of Victorian naturalist drawings. These organic elements become ghostly, hermaphroditic, and ornamental. These pieces by Megan Greene are made from the drawing/painting/collage of Audubon bird prints. Here, in response to a given creature, Greene elaborates and dissolves its body as wings becomes leaf-like and claws are subsumed by pattern. Kim Keever’s mysterious and painterly large-scale photographs represent a continuation and evolution of the landscape tradition (Hudson River Valley School in particular). He creates his panoramic universes by creating miniature topographies out of materials such as plaster and reflective Mylar in a 100-gallon aquarium, which is filled with water. The desolate dream-like dioramas are brought to life with colored lights and the dispersal of pigment, producing ephemeral atmospheres that he must quickly capture with his large-format camera. David Lefkowitz’s work refers to plant varieties contrived through horticultural means, and by extension to the ways we Americans manipulate our (mostly suburban) landscape. His paintings of shrubbery and brush take the shape of various topiary objects and alter or challenge our understanding of natural objects. French artist Guy Limone creates installations that investigate color in relation to different populations—connecting disparate elements of a culture by assigning it one overriding luminescence. These works also show color moving within, defining, or even overtaking the human element, simultaneously standing alone and separate. For more than two decades David Maisel has explored American landscapes that have been transformed by severe environmental damage. Captured from an aerial perspective, Maisel’s photographs appear as abstracted, yet complex maps of the abused terrain that serves as means to meditate on contemporary consciousness. Carolyn Ottmers work often calls attention to the detail and beauty of the natural world by representing it on an exaggerated scale. In her most recent body of work, the artist has made use of her exceptional sculptural fabrication skills by producing absurdly oversize, yet still delicate stainless steel models of self imagined hybrid plants that could survive in an urban environment. 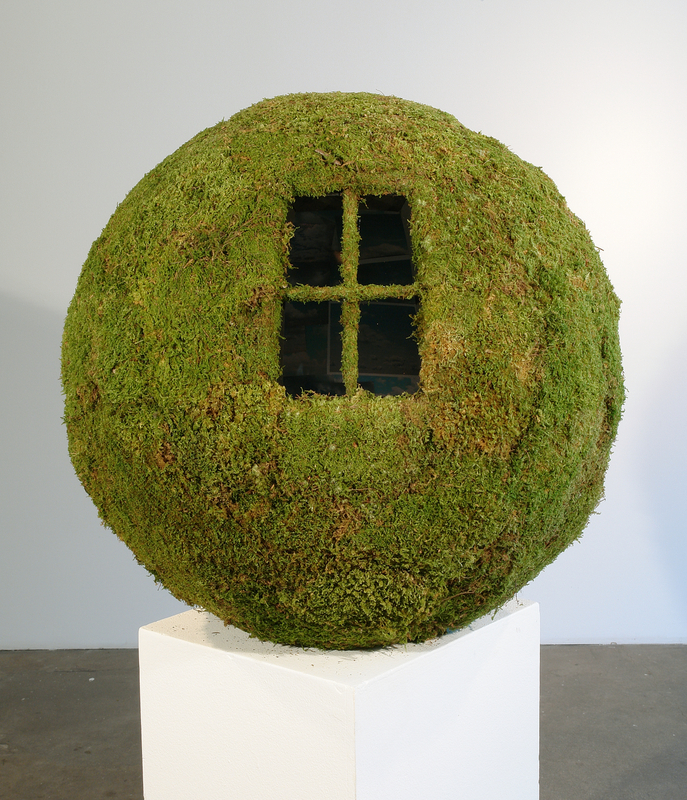 Janet Pihilbad is an artist whose work examines the various ways in which people align and affiliate with ideas about nature using images, language, and organic matter (moss, plants, stone, leaves & earth). Every society accumulates contradictions amidst their ideals. Dietrich Wegner employs those contradictions, situating opposites together in large-scale or life size sculptures that feed on the friction between two things that should not make sense together. He creates images that are safe and unsettling, abject and delightful.